a) being woken up by your noisy neighbours who just can’t seem to get enough of each other? b) hearing the wind howling outside but knowing that you have to go out for that run round the park? c) realising you have no coffee left including the stash of sachets taken from various hotel rooms? The correct answer is c) and frankly mornings are hard enough and the thought of not having a mug of filter coffee to ease my pain was just too much. However, where on earth was I going to get a decent coffee in Paris. Now I hear you chortle as if to say, er you live in Paris try at any café. Here’s the thing, yes they all serve coffee but not the way I like it. I like a full mug, not half a cup, of smooth filter coffee not without the accrid aftertaste and a splash of milk. There are now places springing up that serve coffee English style rather than this espresso nonsense as fun French foodie fact, if you ask for un café you will get an espresso. You need to ask for un café allongé to get what I call a decent cup of coffee! Anyway, I had some writing to do and so took myself off to the 10th arrondissement in search of coffee. My first stop was HolyBelly which is supposed to serve a mean filter coffee but le queue oh la la. 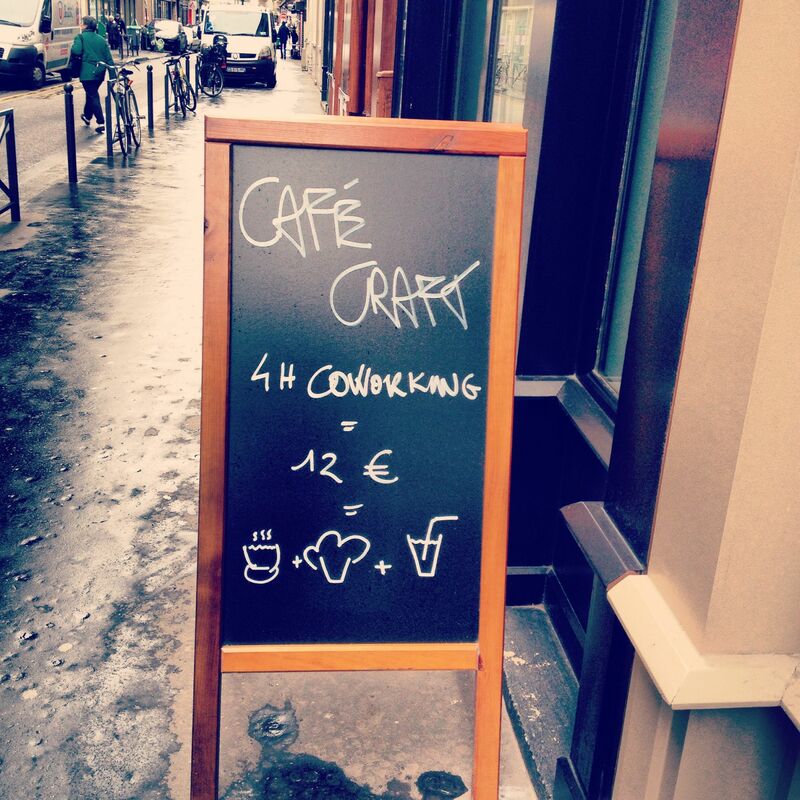 I kept walking and went to my favourite street in the 10th – rue des vinaigriers and stumbled across Cafe Craft. 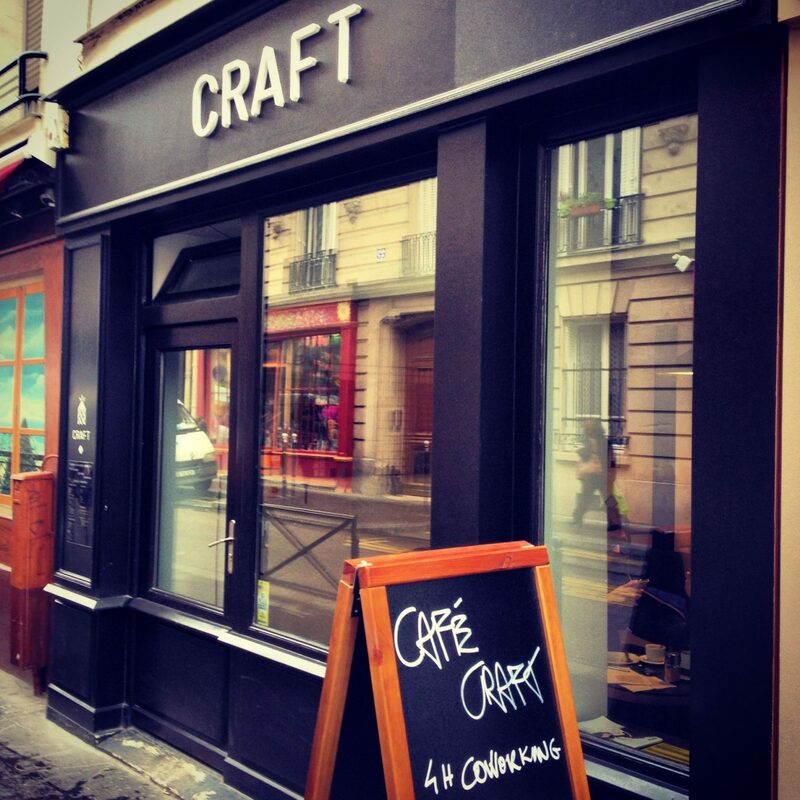 Cafe Craft is located a hop and skip away from Canal St Martin in what is fast becoming one of the best foodie streets in all of Paris – Sunken Ship, Liberte boulangerie, L’Agence bar, Piccolo Cugini to name but a few. I had turned down this street not only because I love it but I felt sure I would find somewhere that served coffee Liquid Marmalade style and I did. 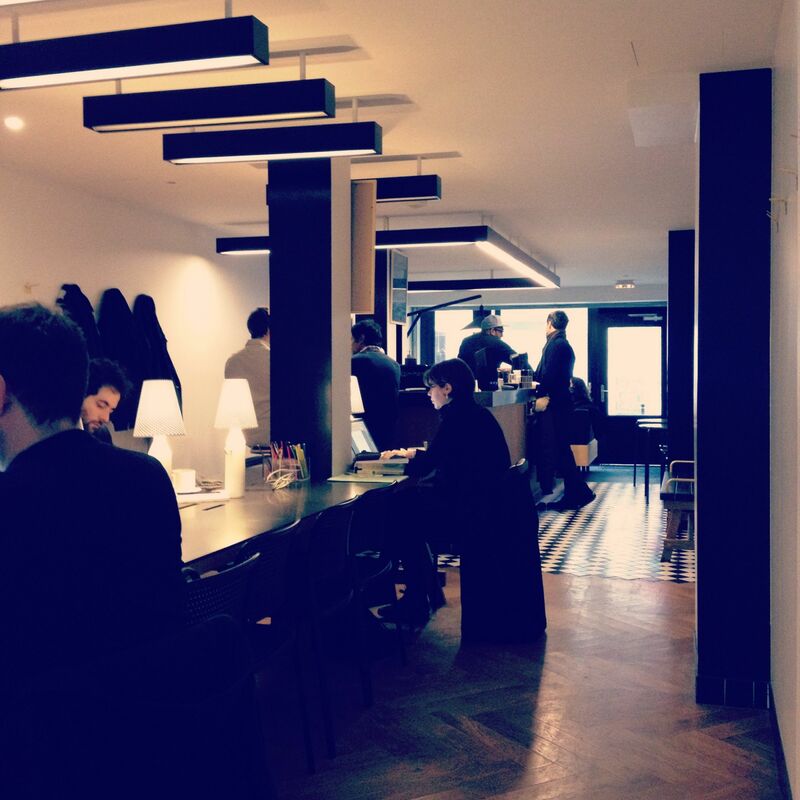 The concept behind Cafe Craft is this: those who work from home can rediscover what it’s like to be social by basically paying €3 for a coffee that then gives them an hour at a shared workstation space where they can plug in their computer and be surrounded by people. The wifi is free as essentially you are paying for it by drinking coffee or tea. 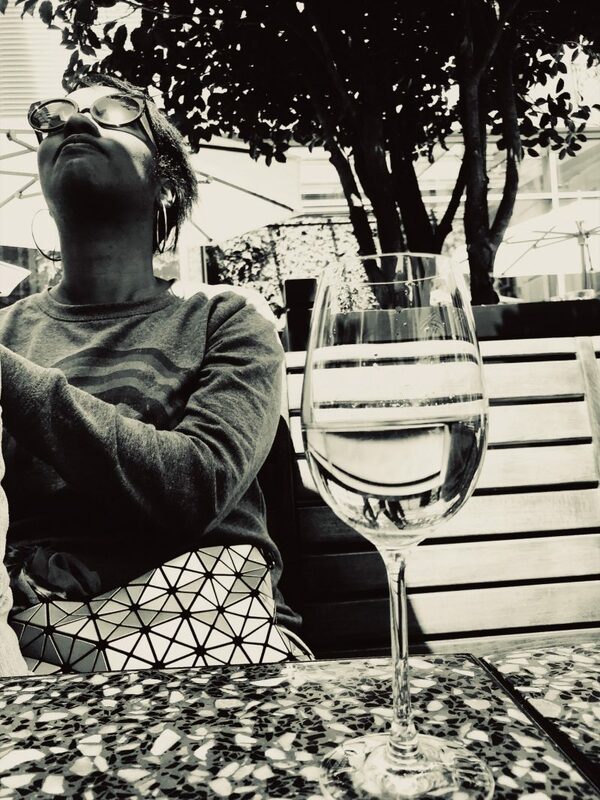 The lighting at the table is soft, there’s background music playing just at the right level and it almost feels like you are at home just chilling out. Service is at the counter and not only is there coffee, I know I am obsessed, but there are sandwiches, muffins and the like. You can come in and work for an hour or stay for longer. Essentially if you stay for 4 hours or more then you will need to buy more than just a coffee to pay for your little table space. I have to say I got such a warm reception and explained I just wanted a coffee and he said no problem either I could sit at the middle table if I had come to work or take a table at the side. I had my pick of tables and sat down and relaxed with my coffee. My coffee was exquisite just what I needed to face the afternoon. If you like the coffee, which is expertly roasted in Paris from the roasters – cafe Lomi in the 18th arrondissement, then you can buy it on the way out. I absolutely loved the vibe of the place. It felt relaxed and the middle bank of desks filled up quickly whilst I was there, there are 12 spaces, however there is a line of tables against the wall if you want to be “alone” rather than seated next to someone. This place certainly beats the library and the thought of being able to eat whilst I work is heavenly. I am definitely coming back soon with my laptop. I arrived at midday and not all the tables were taken but it was a Saturday. I am sure it must be pretty popular during the week!